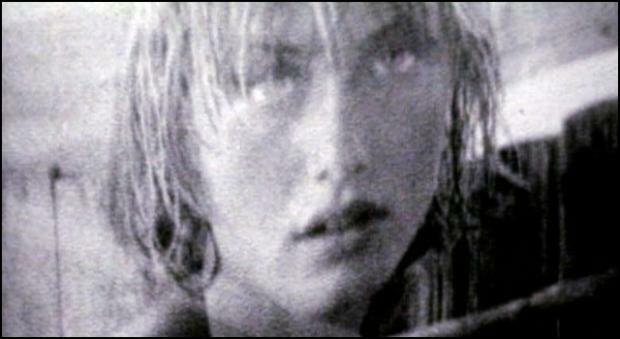 AMI lives and breathes the documentary form in its many variations. As documentary filmmakers, we recognize that while we're capturing reality, we are also projecting ourselves. Our deep understanding of documentary production allows us to bring the soul of the subject and the vision of its creators to life. AMI lives and breathes the documentary form in its many variations. With our experience, talent and intimate knowledge of the form, we are proud to create consistently compelling documentaries. "Emotion and Pain: Understanding Self-Injury" is a compelling and in-depth look at the phenomenon of "cutting", a disorder whereby people harm themselves to relieve stress from abuse, trauma, and other unmanageable emotions. Though the majority of sufferers are women, millions of people throughout the world cut themselves to feel some control over their lives. Recently, a number of celebrities have come forward about their own struggles with self-injury. Given the growing amount of attention paid to the subject by the popular media and the medical community, Hourglass presents a film that demystifies this largely misunderstood disorder and encourages those suffering to seek help. The film features personal stories and interviews with cutters and their families. In addition, insight and commentary are provided throughout the film by Dr. Wendy Lader and Karen Conterio, founders of the unique and groundbreaking S.A.F.E. Alternatives treatment center for self-injurers. 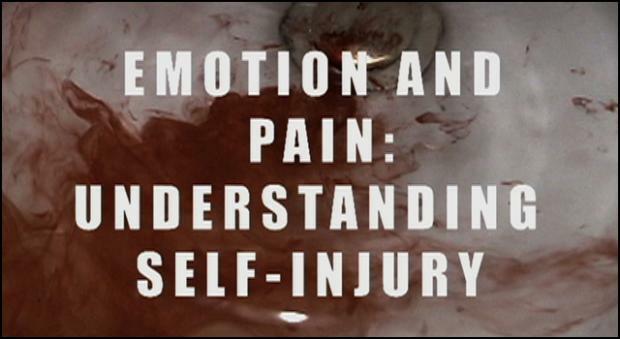 "Emotion and Pain: Understanding Self-Injury" was a Telly Award finalist for documentary in 2002. Beyond the Looking Glass begins: “It’s how you feel about who you are.” The film was produced with teenagers and their parents in mind. 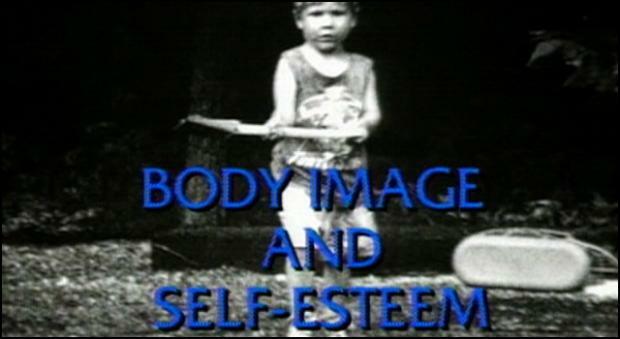 It features candid commentary on the subject of body image and self esteem. It hits upon such topics as Looks, Your Body, Media, Gender, Love, Feeling Connected, Role Models, Empowerment, and Uniqueness. The film gives a comprehensive overview of the elements that make up a person’s self-esteem. To guide the audience through these sometimes overwhelming topics, the film relies on the knowledge of Dr. Rita Freedman, a clinical psychologist and author, Educator Patricia DeBarbieri and Plus-size model, Carolyn Strauss. Beyond the Looking Glass won the Award of Excellence from the Society of Technical Communication and recieved a 4-Star rating from Video Rating Guide for Libraries. 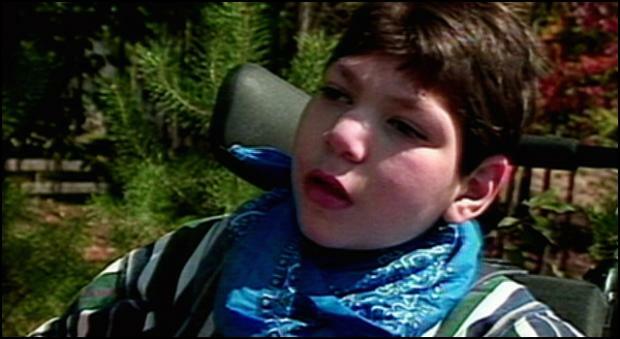 Directed by Meira Blaustein, narrated by Susan Sarandon, and edited by Leslie Englander, "For Love of Julian" is an emotional and well-crafted documentary mastered and on-lined by Eric Marciano. The family's struggle with their multiple-handicapped son had a powerful impact on everyone who watched it. Eric threw himself into to fine-tuning the rough cut and took special care of all the "intangibles:" the fades, dissolves, color correction and various aspects of a piece that give it its subtle pacing, finished look and compelling tone. "For Love of Julian" is being distributed by Fox Lorber. Another collaboration with Jonathan David explores the world of the brain. 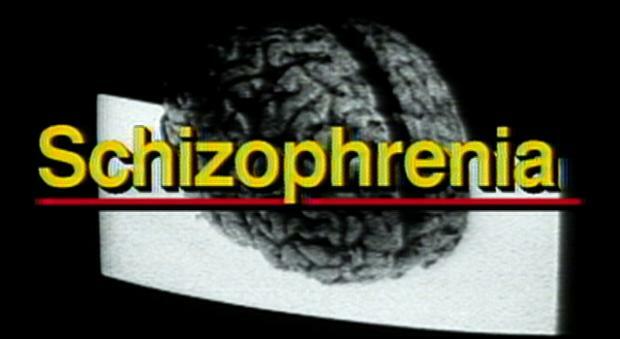 Seven segments were filmed covering the major diseases, afflictions and injuries that can effect the brain. explanations for the world of those whose lives have been changed by damage to the brain. Very powerful, often chilling, and always poingnant, these short films commissioned by the Franklin Science Museum toured the United States in the 1990s. American Montage post-produced. When Food Becomes an Obsession is recommended nationally by the Eating Disorders Awareness & Prevention (EDAP). It is highly regarded and has been presented by the American Anorexia Bulimia Association (AABA). The film features Emma, a charming and attractive 17 year-old recovering anorexic, and her parents. Emma talks openly and sincerely about her struggle with anorexia. While Emma’s parents grew more and more concerned about her rapid weight loss, others praised her for her dedication to her slim body. "When Food Becomes an Obsession" also features insight from Susanna Feder, a recovered bulimic who is now a psychologist and counselor specializing in eating disorders. Doctor Diane W. Mickley, M.D., F.A.C.P., Director of the Wilkins Center for Eating Disorders, is interviewed and details the medical and psychological aspects of this affliction. "When Food Becomes an Obsession" was shot in Betacam SP and includes a stylized “B” roll shot in black and white Super 8 film. Nothing is more overwhelming than suddenly facing the reality of death. Dealing with the passing of a family member, friend or school acquaintance can be devastating for young people. Many adolescents resist the concept that grief is a normal or necessary emotion. This video is a resource with information that will teach audiences that death and grieving are natural, inevitable and manageable parts of life. To order a copy or download go to http://www.timelytv.com/sales The producer worked closely with Friends in Deed, an organization which is dedicated to and excels at grief and loss counseling and support. Friends in Deed was the New York City-appointed grieving organization for 9/11. With the help of Friends In Deed, the film's director, Eric Marciano, identified key elements of the grieving process, found teenagers who articulated their loss, and reknowned experts willing to share their knowledge. While the film is emotionally compelling, it is neither melodramatic nor sentimental. Instead, it explores and demonstrates that while grief can be overwhelming and can't be ignored or The film includes powerful and poignant interviews with grieving expert Earl Grollman ("Straight Talk About Death and Bereavement") and Robert Ludwig, Head of the Children's Grief Center at Long Island College in Brooklyn, New York. Social worker Andrea Freshman and the students from Edward Murrow High School also share their personal and intimate experiences with this subject. "When Someone Dies: Understanding Grief " offer viewers a sense of confidence so that they can move on with their lives after suffering a personal loss. When Someone Dies: Understanding Grief is the first of a three-part series. Two new parts will focus on children and adult's experiences. The road to adulthood is filled with ups and downs. Most adolescents sustain only minor scrapes along the way while others spiral out of control. Part of this problem is that across this planet 7% of all adolescents suffer from Major Depressive Disorder. In an attempt to help and inform those who suffer from this disorder American Montage Inc has partnered with teens suffering from depression and those on the frontlines of fighting it have come together to create the latest in the series Growth Under Pressure: Teenage Depression. This film takes viewers on a journey through the lives of our four teens dealing with depression. This is intertwined with advice from two experienced mental health professionals : Dr Moira Rynn, an Associate Psychiatrist at Columbia University and Ernest P.S Smith, a Psychoanalyst based in New York City, who also counsels troubled youth. Through intimate insight from our protagonists this film will help to understand and identify the early symptoms and possible roots causes. Ultimately encouraging those who struggle with it to get help, while providing others with constructive coping mechanisms for the future. This program is a part of a series, Illuminations: Poetry of the Western World. It is a collaboration between Jack Ramey, a poet, performer, and professor, his wife Nancy Rodgers, writer and professor and Eric Marciano. 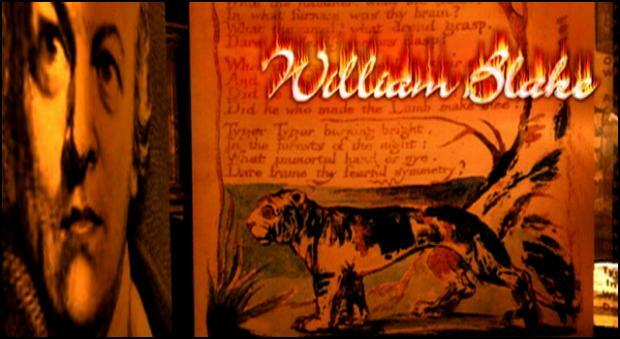 Watching and listening to William Blake: Inspiration and Vision is to enter the magical world of William Blake (1757 - 1827), the great English artist, poet, and mystic. Ramey's deeply moving performances of the poems are further illustrated by visual images from paintings by artists of the day or by the poets original artwork, along with insights on the poet's life and times. Eric Marciano's visual treatments and editing bring to life the intense power and deep spirituality in great poetry. The production captures not only the power of the spiritual world that shines through Blake's poetry, but also the indignation that Blake felt about the social injustices of his day -- injustices that still plague our modern world. It is designed as both an educational tool for the classroom and a unique aesthetic experience for all lovers of art and poetry. Farewell to Bosnia, Part One is a collaborative project between photographer Gilles Peress and Director Eric Marciano. From February, 1994 through March of 1995, Peress' photographs of the Bosnian war traveled around museums and galleries in the United States, including the Corcoran Gallery in Washington, DC, P.S. 1 Gallery in New York City, and at the Southeast Museum of Photography in Daytona Beach, Florida. In these locations, audience reactions were captured both in writing and in a booth called the Reaction Room. There visitors could comment privately on camera about the images that they had just seen. 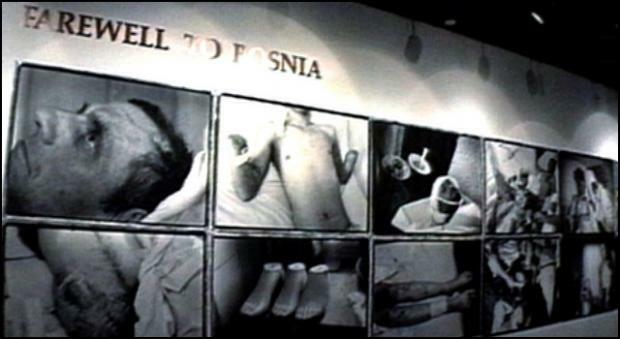 This 25-minute video combines Peress' powerful photographic images with Maricano's ability to contextualize them with elements include historical footage of Yugoslavia, the selected letters by visitors to the exhibit and the audience responses from the Reaction Room to Mr. Peress' Farewell to Bosnia photography show. it is a unique film. James Moody, the world-reknown saxophone player, was having a documentary made on his life and times by Diery Prudent a Brooklyn based fitness trainer and expert and storyteller and filmmaker Eric Marciano. Sadly, funding and overall support has never seemed to materialize for this special project about this most excellent artist and man. 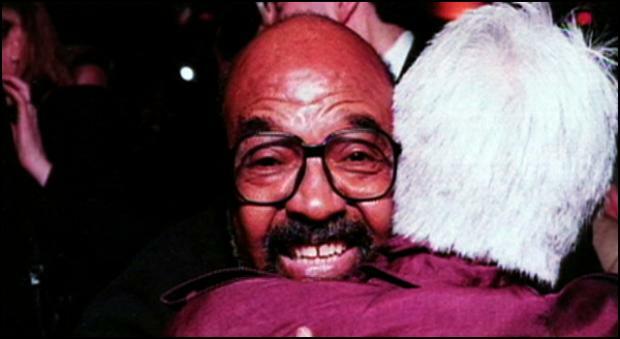 Moody played with legends such as Charlie Parker and Dizzy Gillespie,and then branched out into his own career, culminating in a presidential award in May, 2000. His signature song "Moody's Moody for Love has been recorded far and wide by artist such as George Benson and Amy Winehouse. 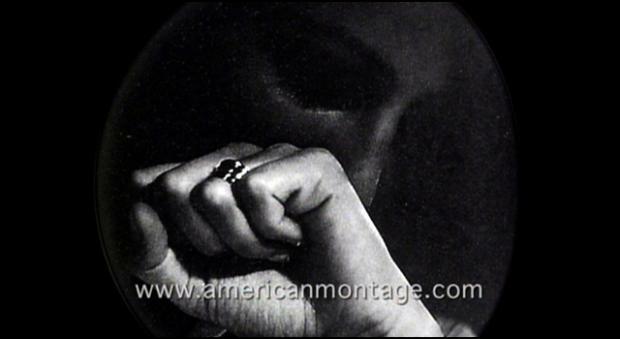 For 17 years American Montage had been producing this project with Mr. Prudent, conducting interviews with other jazz players such as Todd Coolman, Jon Faddis and Paquito D'Riveira and filming numerous Moody performances of Moody and his band over those years. Someday we hope respect, support and love will come to this thoughtful and essential project.